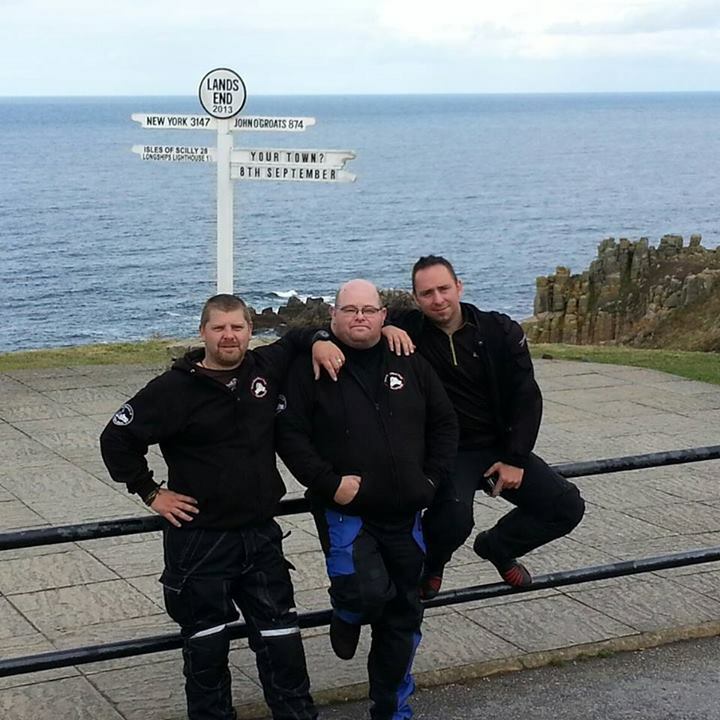 Two Poole motorcyclists are to travel across Europe to raise money for the British Heart Foundation. 4000 miles, 9 days, 6 countries, two motorbikes; Chris Seagal from Bournemouth and Kingsley Davis from Yeovil are setting out for an adventure. 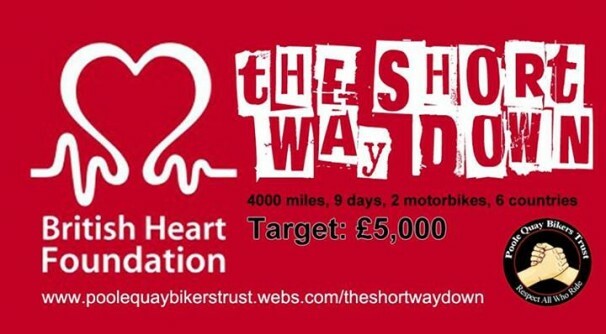 The founder and deputy administrator of the Poole Quay Bikers Trust will be riding for 9 days, about 450 miles per day, through 6 countries, covering no less than 4000 miles in total. They will be using approximately £1,200.00 of petrol in these 9 days, riding a Honda Varadero and a Suzuki V-Strom, 1000cc each. The expedition, code-named “The Short Way Down”, includes France, Belgium, Luxemburg, Germany, Switzerland and finally Italy and its objective is to reach their fund-raising target of £5,000 for the British Heart Foundation. The bikes will be fitted with GPS Vehicle trackers providing real-time feedback on their position. They will also capture a lot of video footage using helmet cameras in order to create a DVD of the journey. Anyone interested can donate in JustGiving.com or email pqbt@ymail.com. Further information in the expedition’s official site.